Radon is an invisible and odorless, radioactive gas that has been found in homes all over the United States. It comes from the natural breakdown of uranium in soil, rock, and water and gets into the air you breathe. Radon typically moves up through the ground to the air above and into your home through cracks and other holes in the foundation. The Environmental Protection Agency classified radon as a human carcinogen in 1988. 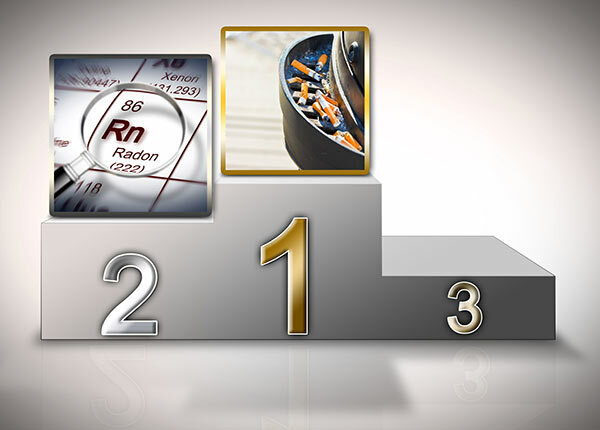 Today radon is the #1 cause of lung cancer among non-smokers in the U.S.
Smokers who are exposed to radon will significantly increase their chance of developing lung cancer. Over 20,000 Americans die of radon-related lung cancer each year. 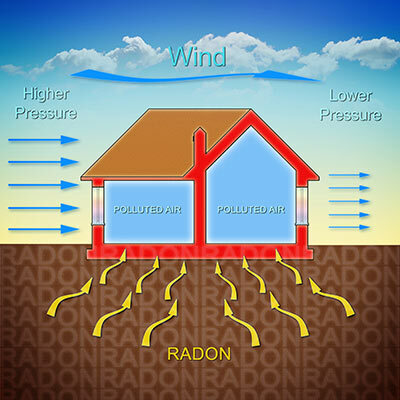 Breathing radon gas is a greater health risk than ingesting water that contains radon. Radon poses a greater health risk to children than to adults. According to the American Cancer Society, radon is the second leading cause of lung cancer in the United States, cigarette smoking being the obvious first leading cause. Exposure to high levels of radon over time puts you at risk of developing lung cancer. 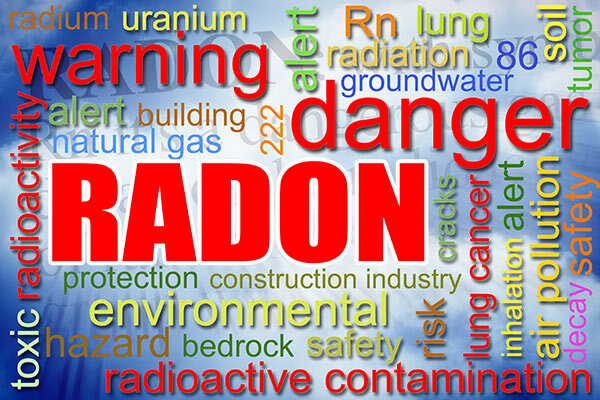 You can't see, smell or taste radon gas. Even if you are breathing it in at a high level, there are no symptoms of radon poisoning. Each year, the average person receives more radiation from radon than from all other natural or man-made sources combined. Elevated levels of radon have been found in homes all across the country. Any home in any state may have a radon problem: new and old homes, well-sealed and drafty homes, and homes with or without basements. Radon gas gets into all types of buildings, including office buildings and schools. You and your family receive the greatest radiation dose in your home. That's where you spend most of your time - 70 to 75 percent, more for small children. Each year, the average person receives more radiation from radon than from all other natural or man-made sources combined. Over the years, the accumulated radiation exposure of homeowners may exceed the exposure of uranium miners. The only way to know if you are being exposed to high levels of radon in your home is to perform a radon test. 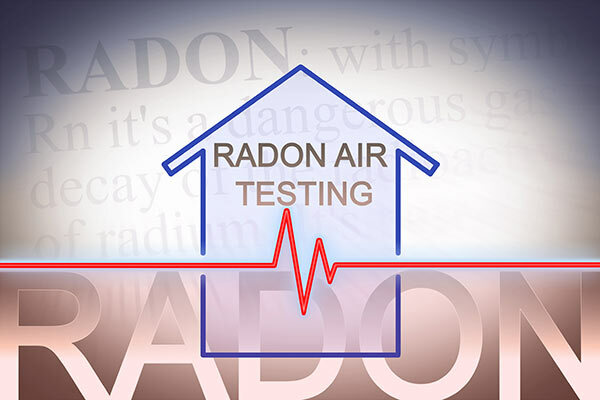 The U.S. Office of the Surgeon General recommends that all houses be tested for radon. You want the home you are purchasing to be safe. Know the radon level in the home you want to purchase by having a qualified professional conduct independent testing. Most agreements of sale are time sensitive, a short-term test is usually preferred. When performed by a professional using proper equipment, it’s possible to get accurate results in as little as 48 hours. Because radon gas is invisible, odorless and chemically inert, it cannot be detected without using special detection devices. Even if a home seller had the home recently tested (within 2 years), be sure that the test was done properly, the device met EPA requirements and the results were analyzed by a reputable laboratory certified in your state. As a potential buyer, you will have to make a decision to accept those results or perform another test. 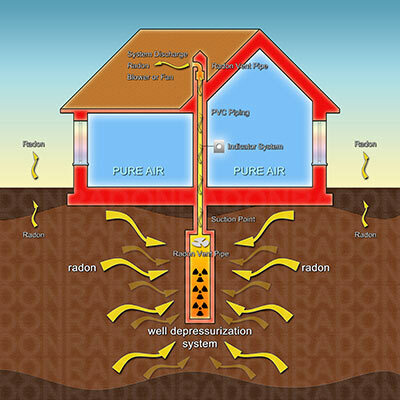 While any exposure to radon can be considered potentially damaging, the EPA recommends that homeowners aim for radon levels below 2 picocuries per liter (2pCi/L) and requires a remediation system at or above 4pCi/L. Radon levels fluctuate during different times of the day depending on several factors such as changes in weather, barometric pressure, and use of appliances such as HVAC systems. This is why it is important to test over time. A continuous-monitoring radon test result report will show hourly readings as well as an average level to show the fluctuations of radon levels, as well as the overall level in the home. It is the overall average which should be used to determine if remediation is recommended or necessary. A variety of testing methods can be used such as: Charcoal Canisters, Electret Ion (E-perms) chambers and Continuous Radon Monitors. The most common "passive" radon detectors can be purchased at hardware stores and home centers. These are typically placed in the house for at least several days, then sent to a lab where the radon level can be determined. More accurate "active" radon detectors are installed by professionals and monitor radon levels continuously. HOW DO YOU REMEDIATE HIGH LEVELS OF RADON? If there is too much radon in your home, there are proven mitigation methods to reduce radon levels. 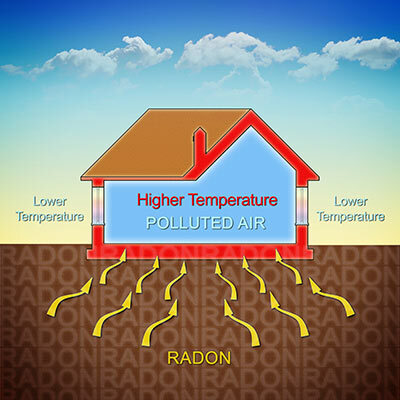 Reducing the radon level in your home is simple. A radon mitigation system uses ventilation to reduce radon gas concentrations in the air inside your home. It is important to use a certified radon mitigation company to guarantee the highest standards in reducing radon exposure to a safe level. At Morrison Inspection Company, we spend the time and have the proper expertise and equipment to test and monitor radon properly. We use active radon detectors which perform continuous monitoring for a minimum of 48 hours, in order to ensure the most accurate picture of the radon levels in the home. Readings are taken every hour for at least 48 hours, then averaged to get a good picture of the levels in the home. Our monitors are EPA and NRPP certified and calibrated yearly, so you can be confident in the accuracy of the radon levels reported.